"In the '80s, you seemed to be everywhere. What do you remember about that time? Throughout a majority of the '80s and even in the early '90s, Phil Collins had achieved a level of pop music ubiquity shared by only the rarest of stars. He turned Genesis from England's art-rock band du jour into reliable hit-makers, embarked on what is arguably one of the most successful solo careers in all of music, and would later go on to win an Academy Award and seven Grammys (including one for Album of the Year). Any one of those single achievements would be the highlight of anyone's else's career, but for Phil Collins, each new landmark only further secured his legacy. Although Collins' third solo effort, 1985's No Jacket Required, is still one of the best selling albums of all time, it's nothing short of astounding how so few of Collins' works have lasted through the decades (save, of course, for the touchstone that is "In the Air Tonight"). Even with the occasional soundtrack hit here or there, Collins' post-1995 albums have been exercises in diminishing returns, while the same critics who championed him in the '80s have long since abandoned him, which is something Colllins himself seems to acknowledge, having done multiple interviews for Rhino's gigantic 2016 reissue campaign of his solo sets wherein he all but disavows cornball hits like "Sussudio" (per a Rolling Stone feature: "At the time, I wasn't being me. I've grown up a bit now and much prefer to play songs that are me."). Why such apologetic revisionism? When you get right down to it, from 1978's Genesis hit "Follow You, Follow Me" onward, Collins began turning into a bit of a schmaltz merchant, with a natural knack for a syrupy melody and some easy-going lyrics that, at the end of the day, he knew would sell. At times, such generic radio populism worked like gangbusters, and soon he developed an addiction to Vegas-style horn sections that would ultimately lead to the undoing of all his goodwill, but what made Collins' work in the early '80s so especially compelling was that he was able to balance out the saccharine with punctuated moments of darkness, from the obvious ("In the Air Tonight") to the surprising (Genesis's pointed 1983 single "Mama"). Such turns towards the arty side of his personality helped ground Collins' work in the eyes of critics, but once the turbulent, changing sounds of the '90s hit, Collins was still writing the same kind of songs he always did, and the tricks and templates that were once his bread-and-butter were now passe, his relevance only kept alive by the occasional rap group sampling him, disaffected Generation X'ers who grew up to the sound of Collins' radio hits, and, of course, "In the Air Tonight". So by the time 1981's Face Value had hit, Collins was already aware that there was a contingent of Genesis fans who despised what he turned the group into, but that was water off a duck's back for the singer, opening both his debut album and his solo career outright with (say it with me now) "In the Air Tonight" as if giving a distinctive middle finger to all his haters in one go. While much has already been written about "In the Air Tonight", many people forget that Face Value is so much more than his most defining hit: it's a gloriously odd little set of songs that don't hew to typical pop conventions, Collins letting his eccentricities take full reign over his craft in a way that we would only get glimpses of in the following years. "This Must Be Love" is a laid-back mood number that's been lightly kissed by Collins' love of soul music, while "Behind the Lines" dives straight into that horn-accented pop schmaltz that Collins would later refer back to time and time again, rarely bettering the feel-good vibes he captured here. Yet Face Value's real power rested in both its interesting songwriting and fascination with left-of-center textures: from the backwoods slide guitar of "The Roof is Leaking" to the cinematic percussion-driven instrumental that is "Droned" to the piano-pop nugget that is "I'm Not Moving" (one of his most underrated solo songs), Face Value, to this day, remains a fascinating listen, closing with Collins' own psychedelic interpretation of the already-psychedelic "Tomorrow Never Knows", which, incidentally, ends up sounding like late-'70s Genesis, a move he would never repeat again, perhaps deliberately. Later in 1981, Collins would see Genesis release the avant-pop set Abacab, but after a short promotional cycle, Collins wasted no time in getting back to the studio, putting out his second solo set Hello, I Must Be Going! the following year. Buoyed by an easy No. 1 hit with his karaoke-level cover of "You Can't Hurry Love", it'd be easy to write off Hello as a slide into easy pop craftsmanship, and if you were to judge it on its singles alone, which range from "Thru These Walls" (which uses "Into the Air Tonight" as its sonic template) to the AM balladry of "Don't Let Him Steal Your Heart Away" to the, well, further AM balladry with "Why Can't It Wait 'Til Morning", then you'd be absolutely correct. However, Hello is a bit weirder than people remember it, opening track "I Don't Care Anymore" letting Collins tear into one of the harshest rock growls he's ever laid to tape, while the jovial guitar bounce of "Like China", strangely, recalls Talking Heads at its most formal (for an artist who produces so many of his songs to be so sonically smoothed and rounded, it's great to hear him embrace a little bit of harshness here). Best of all, however, is the biting "Do You Know, Do You Care? ", a dark, minor-chord guitar drone of a song where Collins pours on the reverb to his own vocals, sounding as if the pounding drums and rising action of those guitars will soon rise up and swallow him whole. 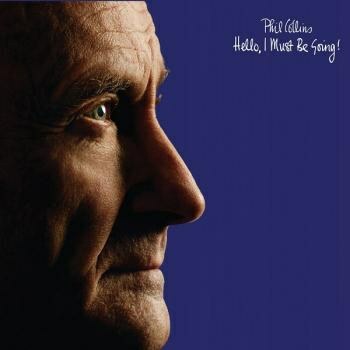 It's a song that's more bitter than anything off Face Value, and although Face is a far more consistent album, Hello wasn't without its charm or surprises, and a perfect bridge between the passion project that was Face Value and the planet-swallowing success of the more mainstream-leaning No Jacket Required. As of this writing, the much-anticipated reissues of No Jacket Required and 1989's ...But Seriously are still pending, which means that the Collins reissue campaign, for whatever reason, jumps all the way to 1993's Both Sides, without question his last decent album. Opening with lead single "Both Sides of the Story", it becomes clear that Collins hasn't done much to change his formula since the massive success of Jacket, and as such, the arty detours of Face Value and Hello are nowhere to be found, Both Sides doing exactly what ...But Seriously did and playing like an attempt to recreate Jacket's success. On both "Can't Turn Back the Years" and "We Fly So Close", he falls back on that drum machine/synth pad combo used in "In the Air Tonight" once again ("We Fly" sounding damn near like an attempted sequel), but single "Everyday" is a pleasant if utterly innocuous slice of MOR radio fluff. At this point, Collins was absolutely a pop song formalist, capable of writing a very specific type of song very well but doing so very little to deviate from that formula like he did before. While Collins does indulge a bit of a ragtime fantasy in "We're Songs of Our Fathers" and tries his hand at Irish folk music accents with "We Wait and We Wonder", these moments stick out more glaringly here than they did on Face Value, which sewed its obtuse detours together in a mostly seamless fashion. Here, they're mere breaks to the main action, which is nothing but pop singles and moodier, synth-driven ballads. In truth, the ballads (and particularly "I've Forgotten Everything"), still resonate, even if they come off as a bit repetitious this time out. 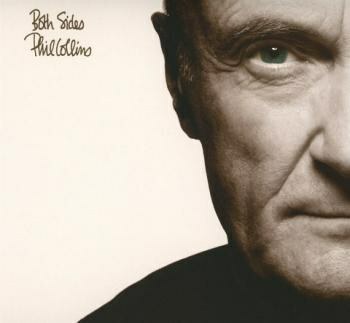 Both Sides isn't the best iteration of Phil Collins' solo work, but it's still an enjoyable journey. The same, however, cannot be said for Dance Into the Light, a.k.a. The Album Where Phil Collins Lost the Plot. Those horn charts that helped make the brighter moments on his first albums pop were notably absent from Both Sides, so Collins makes sure they get their revenge by placing them in virtually every song here, most of the songs feeling like pale shadows of what Collins was once capable of. Is "No Matter Who" the poor man's "Everyday"? It's hard to tell, because Collins spends most of his time writing inoffensive fluff like "Love Police" and the needless vamp that is "Take Me Down", uninteresting tracks that contrast harshly against deliberately goofy numbers like "Wear My Hat", a song which has aged horribly what with the tossed off gay panic jokes. Oh, and let's not forget that overproduced closing cover of "The Times They Are A-Changin'" which has been overproduced to the point where not even a hint of actual emotion can be found. Sure, there are interesting moments like the slow-motion groove of "Oughta Know By Now", but by and large, this was the album where Collins became a parody of himself, and his fans reacted in kind: in the U.K., it's the lowest-selling album of his career. Of course, being a Rhino reissue campaign, many fans are clamoring for the bonus discs full of rare material, but most of it are either live cuts or demos, and a majority of it sounds exactly like you'd expect it to. It's all frightfully uninteresting, but out of everything included, Hello might have the most compelling bonus material, which ranges from an embryonic take of "Do You Know, Do You Care?" where he clearly hasn't worked out most of the lyrics to a "Live Rehearsal" version of "The West Side" which features his backing band in full swing. 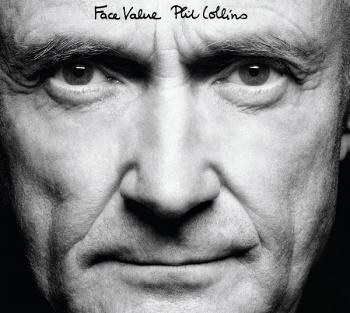 Yet is any of this enough to warrant a massive re-evaluation of Phil Collins' solo material? The answer is both yes and no. 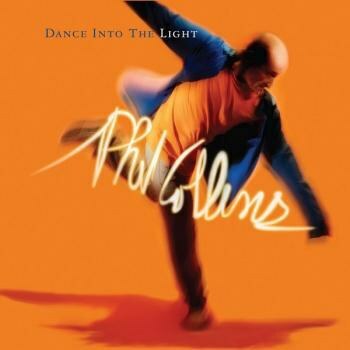 By reissuing everything he's ever done, one could be led to believe that Dance Into the Light is a worthwhile recording, when it's clearly the runt of the litter, but the more people that get to rediscover the many joys of Face Value the better, because while No Jacket Required will always be Collins' calling card, there is depth and breadth to his material that extends far, far beyond "Invisible Touch" and "In the Air Tonight". So why does everyone hate Phil Collins? Simple: 'cos for a man who defined a lot of what the '80s sounded like, he almost refused to change his style in the years that followed, leading him into a pop song mawkishness that was about as far removed from "cool" as humanly possible. Not all of his material deserves reverence, but with the reissues so far as well as the ones to come, it's obvious that there are some forgotten gems in Collins' discography, making even casual fans wonder if they truly have both sides of his story.